Twelve men went to spy out Canaan, the land that God had sworn He would give to His people. They all saw the same thing, but they came back with contradictory recommendations on taking the land. 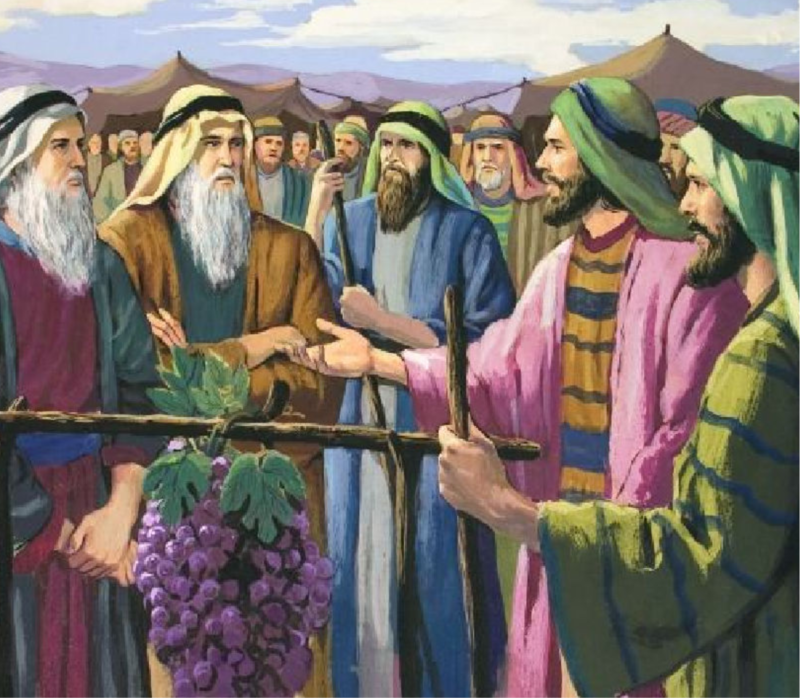 Two of them, Joshua and Caleb, had faith in God, and pleaded with the people with all their might to trust in God along with them, and go and take the land. The other ten chose not to believe God’s promise. Why? Maybe they thought God was lying. Maybe they thought He was incompetent. Maybe they thought He was weak. Maybe they just doubted He had really committed Himself to gaining the land for them, or just doubted His very existence. Whatever their reasons, though, they had no excuse. God had proven Himself. He had earned their trust. They could kid themselves all they wanted about having a reason to doubt Him—but the fact was there was no reason to doubt Him. There’s no reason to doubt Him today, either. But people still do, fooling themselves with many arguments about why they shouldn’t trust God, if they even believe He exists in the first place. Those 10 men learned too late the consequences of not just doubting God, but of using one’s influence to cause others to doubt Him. God spared the lives of everyone who listened to their discouraging report and refused to enter the promised land. But He didn’t spare these ten whose words robbed those multitudes of their chance to enter into the rewards God had set aside for them in the promised land. There’s a lesson there for anyone who has influence. Be very careful how you use it. You can encourage others to know the Lord and trust in Him, or to encourage them to doubt His word and His will, thus missing out on the life eternal Christ already bought and set aside for them on the cross. Every teacher who has tricked impressionable students into taking the ludicrous evolutionary theory seriously, and thus doubting the Bible, has made the mistake these 10 made. Every liberal “pastor” who has preached the silly notion that the Bible is flawed or that it is a nice set of allegories, but not absolute truth is also in this group. Every parent who has ever discouraged his child from taking a stand for Christ or following God’s will for His life, warning the child it would be a hard life, has done it too. The list could go on. But what we need to realize is that we all have influence over someone somewhere. Use what influence you have to help people know and trust God, not doubt Him or His word. He has earned the trust of every person in the world. We have no excuse not to believe. And if we make someone think they do have a reason not to trust Him, we make a mistake that those 10 men were struck dead for making. We may live to see another day, but it won’t be because we deserve to. This entry was posted in Devotionals and tagged power for good. Bookmark the permalink.